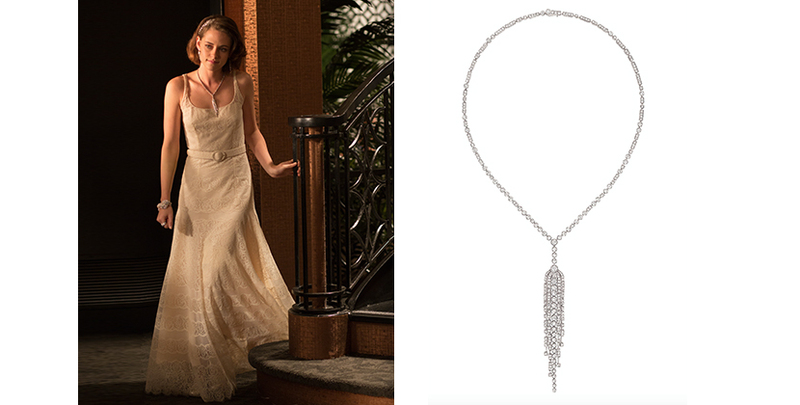 Kristen Stewart in Café Society wearing Chanel Cascade de Perles earrings and a diamond Camélia Fleur necklace with a custom silk and lace Chanel dress and marabou feather shrug. The Cascade de Perles earrings worn by Stewart in Café Society are set with diamonds totaling 4.5-carats, 2 South Sea pearls and 12.6-mm pearls in the tassels. 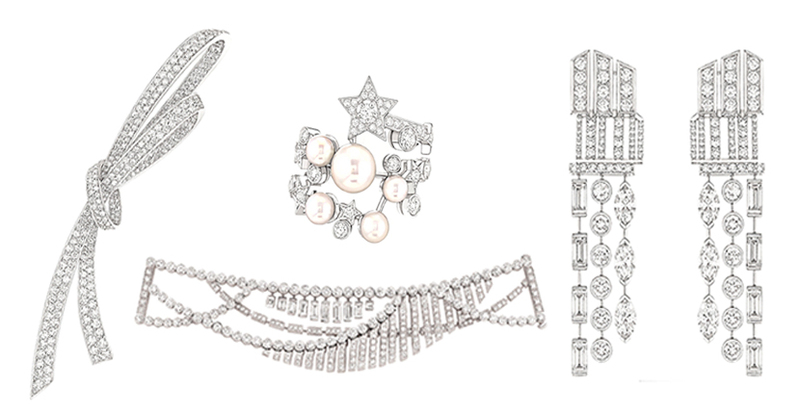 Some of the Chanel Fine Jewelry worn by Lively in Café Society includes a diamond Ruben brooch, a diamond and pearl 1932 Collection ring, Symphony earrings from the Café Society collection set with 6.4-carats of diamonds and the Franges Swing bracelet from the 1932 collection set with diamonds totaling 19.3-carats. Chanel Fine Jewelry seen in Café Society night club scene: Perles de Nuit Necklace set with 47 Tahitian and Japanese pearls and diamonds, Broadway Bracelet set with almost 35-carats of baguette, square and brilliant-cut diamonds and the Symphony Diamond Necklace from the Café Society collection set with just over 82-carats of fancy and brilliant cut diamonds. Kristen Stewart in Café Society wearing the Chanel Fontaine necklace set with 9.9-carats of brilliant-cut diamonds and a pear-shape diamond. 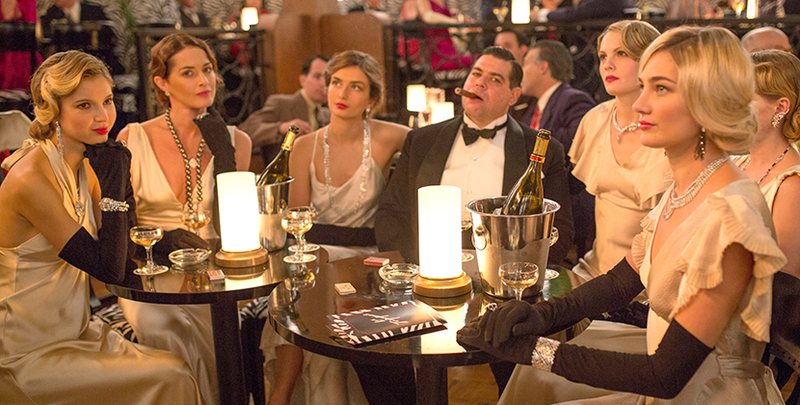 When it comes to jewelry, Café Society is the blockbuster hit of 2016. In fact, the sheer quantity of important diamond jewelry in the movie instantly make it one of the great jewelry blockbusters of all time. 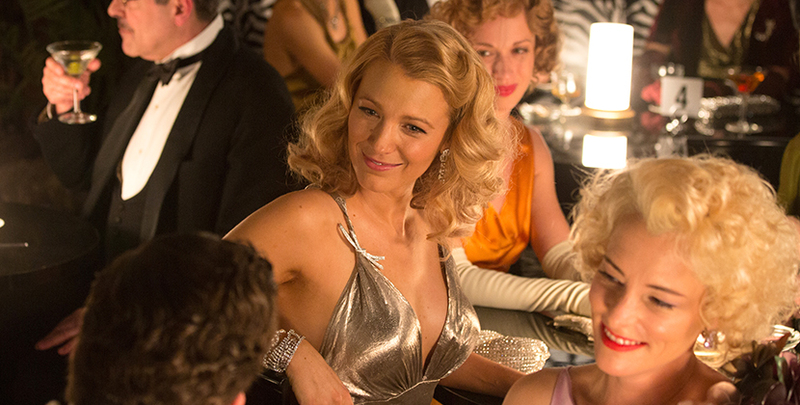 Set during the 1930s in Los Angeles, leading ladies Kristen Stewart and Blake Lively as well as several extras in the Woody Allen comedy are absolutely dripping in diamond jewelry. All of it comes from Chanel. 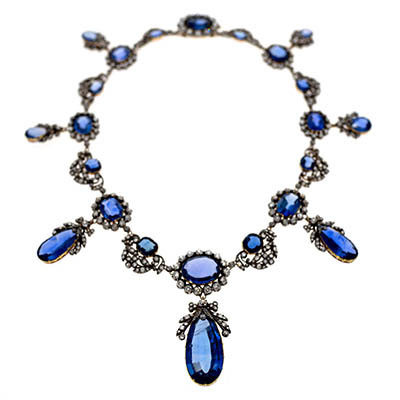 While jewelry is usually employed for comedic effect in the legendary director’s movies, this time an abundance of real baubles was used to highlight the glamour of the silver screen era in Hollywood. The costume designer for the film, Suzy Benzinger, worked hand in hand with Chanel to select the jewelry. She also delved into the famous French firm’s archives to come up with the clothes for the film. “Great canvases” for the jewelry is how Benzinger described the gowns seen during a nightclub scene to WWD. 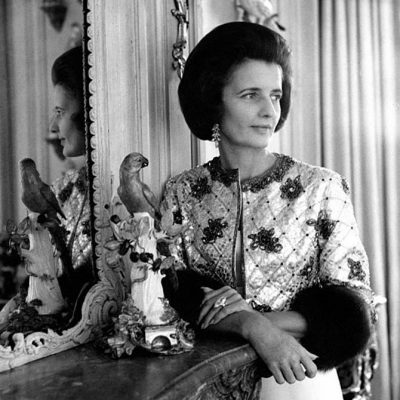 All the evening wear was made in shades of ivory, one of Coco Chanel’s signature colors. 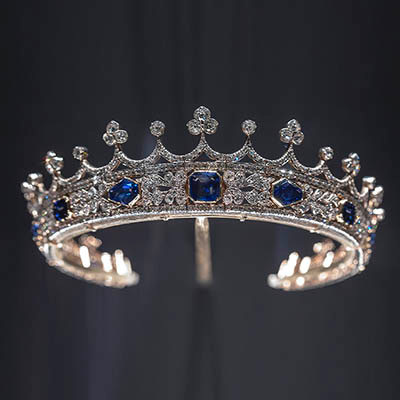 The jewels were mainly composed of diamonds and pearls. Despite the fact that the fine jewelry is contemporary, it meshes harmoniously with the deco style clothes. 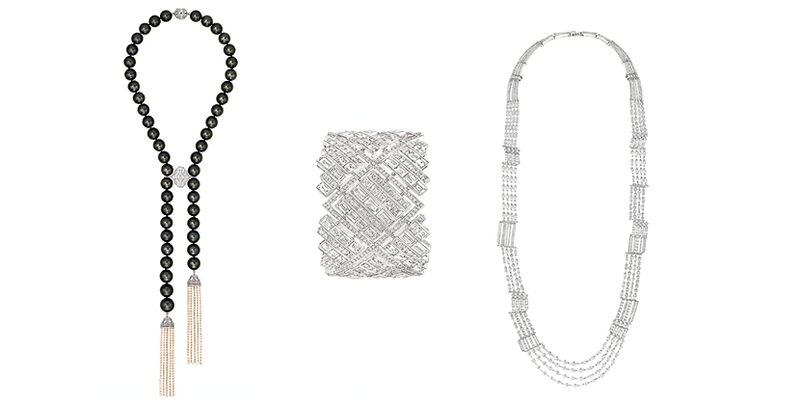 All of Chanel’s fine jewelry references back to Coco Chanel’s original creations. One of the collections seen in the movie is named 1932 en hommage to the year Chanel debuted her diamond designs. Other pieces are from a 2014 collection coincidently named Café Society, because it was inspired by the same period as the movie’s setting. Jewels from the 2014 collection, Les Perles de Chanel, were made in celebration of Coco Chanel’s passion for the marine gem and executed in the spirit with which she wore them. 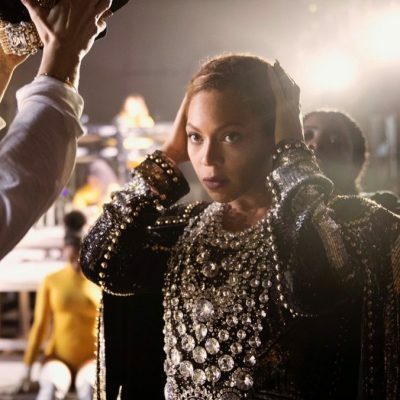 While the exact value of all the jewelry in the movie has not been released, it was a big number, a very big number. It’s a jewelry blockbuster. See film stills from the movie and close ups of some of the jewelry in the slide show above. See the dance scene staged at Harry Winston in Woody Allen’s Everyone Says I Love You here.